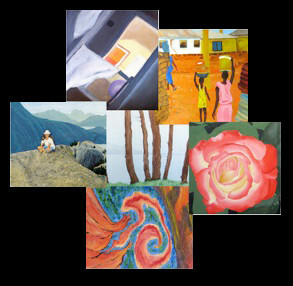 A workshop class, with Instruction is focused on representational painting in oil and acrylic. Abstract painters and painters working in other media are welcome. One-day Saturday workshops: 10:00 a.m. to 3:30 p.m. Spend a relaxing day painting in the congenial company of other painters. A chance to get guidance on a work in progress, get feedback on finished work, or request instruction about a particular topic. Class size is limited; so register early! To receive registration detailss and a list or recommended supplies, contact Steve by email <steve@fick.ca>, via the contact page of this website, or by phone (613 233-8438). Cancellation of painting class one week before class--full refund. Before first class, full refund less 25%. After first class, there will normally be no refund. To see a portfolio of Steve's work, click here. Watch a blank canvas morph into a finished painting by Steve in 36 seconds.